Data summaries need to be short to be able to be relayed by satellite, as the lengths of transmissions are typically limited. The techniques used to create these summaries should be developed such that required computational power is minimised and the lifespan of the battery on the device can be maximised. A well-known example of such techniques is the broken-stick model, which breaks a dive into a set number of components representing its predominant sub-surface vertical trajectory (e.g. descent, bottom and ascent). Methods like these focus only on depth measurements though, and are limited in what they can tell us about an animal’s behaviour and movement. To learn more, accelerometer data are particularly interesting. They can be used not only to determine what activity an individual is engaged in at a given time, but also the amount of energy that activity requires. Unfortunately, raw accelerometer data is of very high resolution (typically in excess of several Hz) and processing methods can be particularly power hungry. In our recent Open Access article, “Processing of acceleration and dive data on-board satellite relay tags to investigate diving and foraging behaviour in free-ranging marine predators”, we present a new, simplified method for processing accelerometer data so that it can summarised on-board animal attached devices and later transmitted by the Argos satellite system. We used juvenile southern elephant seals as a model to base the method on and test it. This far ranging marine mammal makes extended trips at sea where mortality rates are high. As such tag retrieval is often challenging. The angle (pitch) of the descent and ascent stages of a dive. Fieldwork location at Kerguelen Islands. © Joris Laborie and Florian Orgeret. Simplifying these procedures required some prior knowledge of the expected data so that set thresholds could be implemented. To do this we took data we had previously collected on female southern elephant seals (since information from juveniles was not available) and ran algorithms over different thresholds. We compared the outputs to those from the original established procedures, and chose thresholds that maximised metrics of performance. This included ensuring the new techniques produced data that were as accurate as possible (e.g. the individuals were attempting to catch prey when we thought they were), and that misclassification and false positive rates were minimised. The algorithms that came from this were then uploaded onto the new, custom designed biologging device. 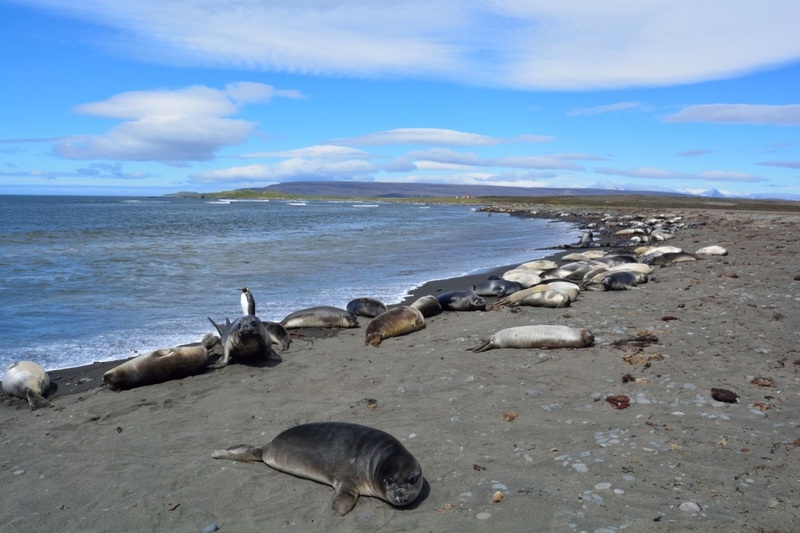 We then test ran its performance on 20 juvenile southern elephant seals, that were equipped in December of 2014 at Kerguelen Islands in the sub-Antarctic and tracked for between 1 and 11 months. Devices are attached to the head, as this is where they pick up movements associated with prey catch behaviours best. They’re attached using quick-setting epoxy glue and fall off the individual during an annual moult (if the device isn’t manually retrieved by the researchers). 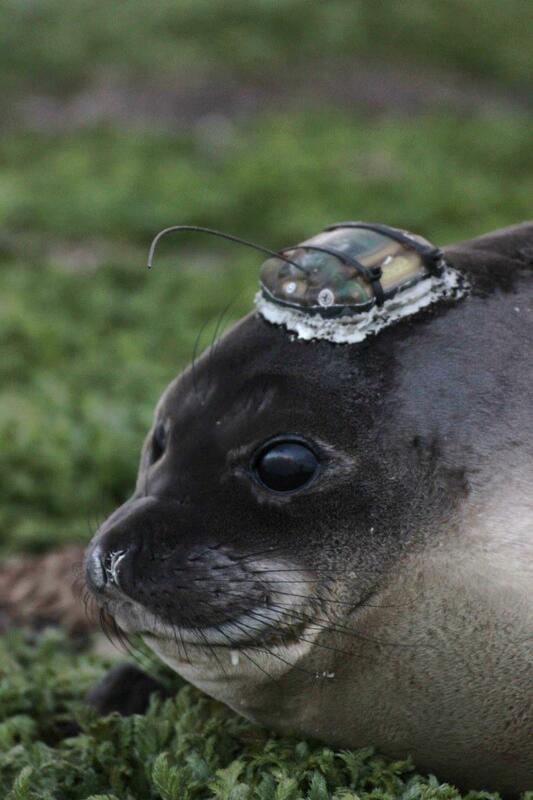 A juvenile southern elephant seal, with a biologging device. © Joris Laborie and Florian Orgeret. Following the successful transmission of data from all 20 devices, we retrieved 9 devices from pups that returned to the Kerguelen Islands. 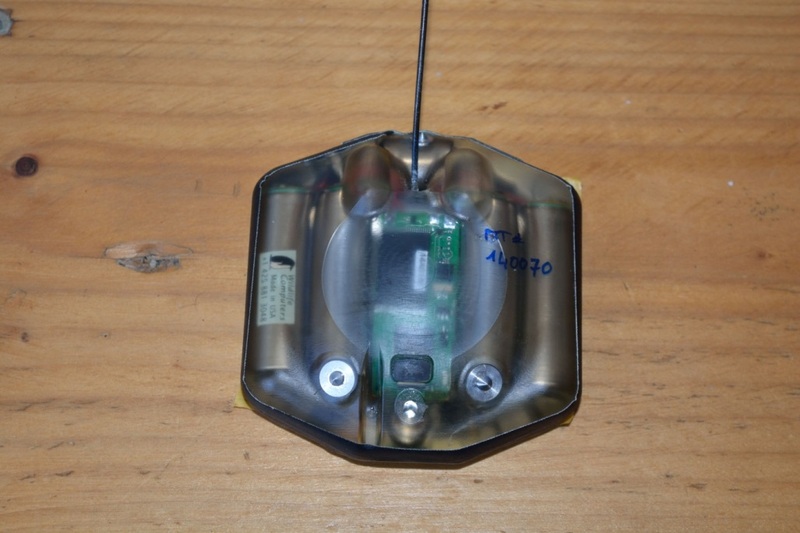 This gave us access to the original high resolution accelerometer data before it was summarised, so we were able to validate the performance of our technique. We looked at correlations between the transmitted summaries, and those obtained via the processing of the original high resolution data using established techniques (those upon which our simplified methods were based). Our findings showed that the methods generally performed well, although some in some instances threshold values could be improved upon. Nonetheless this data represents some of the first remotely transmitted summaries of accelerometer data. It has significant applications in the study of far ranging marine mammals such as seals, whales and dolphins, as well as a range of large seabirds (e.g. penguins) and fish (e.g. tuna), and possibly even large terrestrial animals. This study was funded by an ERC grant as part of the program EARLYLIFE and supported by the IPEV program. To find out more, read our Open Access Methods in Ecology and Evolution article ‘Processing of acceleration and dive data on-board satellite relay tags to investigate diving and foraging behaviour in free-ranging marine predators’. 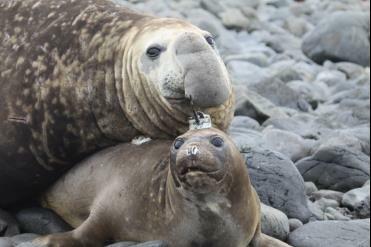 This entry was posted in Conservation and management, Methods papers and tagged accelerometer, Argos satellite, Behavioural Ecology, Biologgers, Biologging Devices, Elephant Seal, Marine Mammal, movement ecology, Remote Sensing, Remote Tracking by Chris Grieves. Bookmark the permalink.